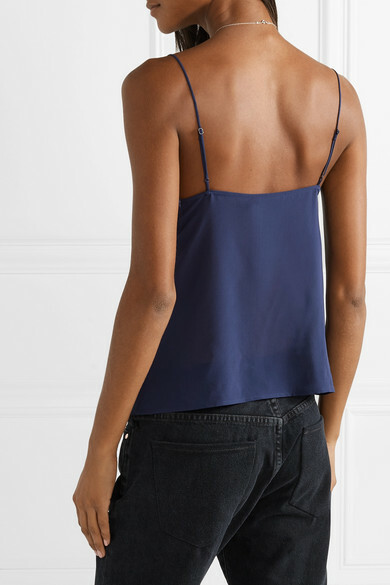 J Brand's 'Lucy' camisole looks as pretty on its own as it does layered underneath a blazer or denim jacket. 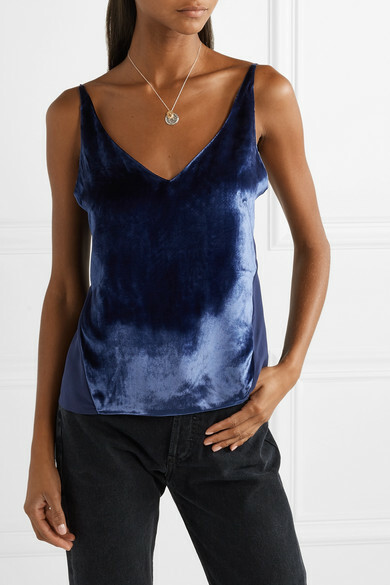 Suspended from thin straps, it has a classic V-neckline and lustrous blue velvet front. 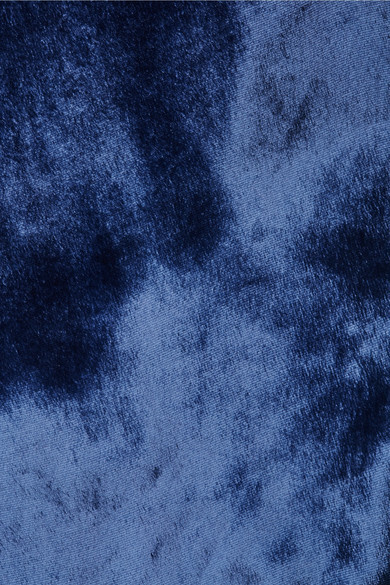 It turns to reveal a silk-georgette back. 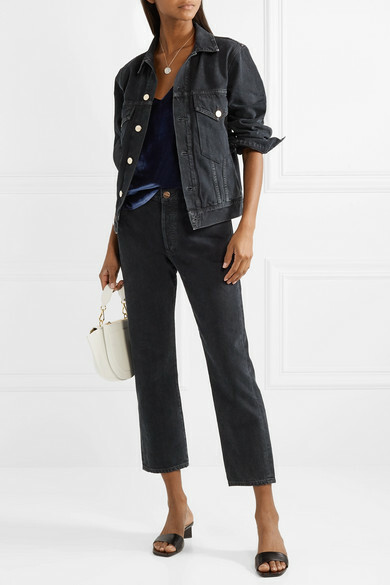 Shown here with: Goldsign Jeans, Goldsign Jacket, Wandler Shoulder bag, The Row Mules, Alighieri Necklace.